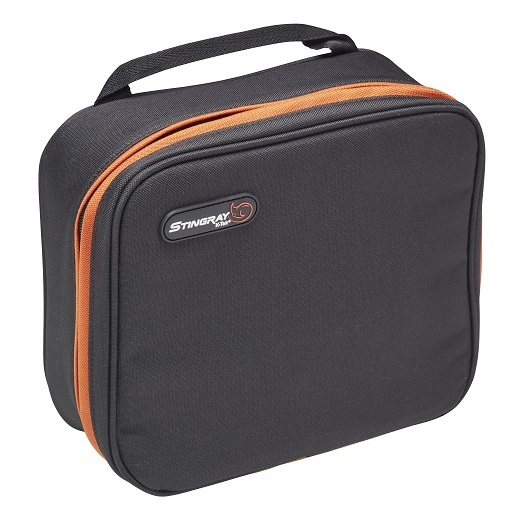 This Large Gizmo Bag features a sturdy dual wrap-around zipper, giving complete access to the contents as well as zippered transparent pockets in the lid, ideal for storing very small items. 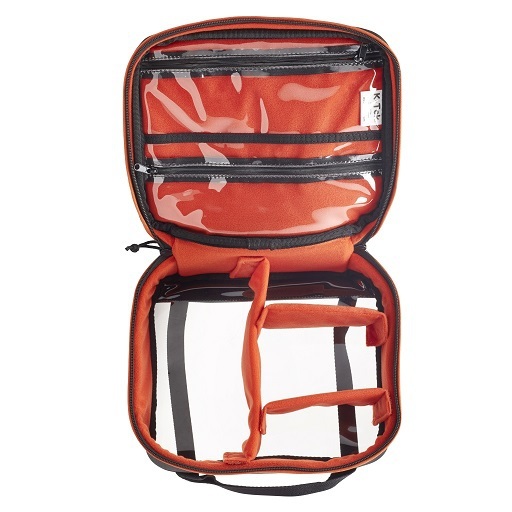 The bag has a black exterior and the orange inside is helpful to give a vibrant contrast to see contents in darker environments. Outside straps that can unsnap to connect the bag to the common Molle attachment system, which also comes standard on all Stingray Audio Bags. Inside, the Large Gizmo Bag has three padded movable dividers to form customizable compartments to help organize storage and padded edges to protect the contents. 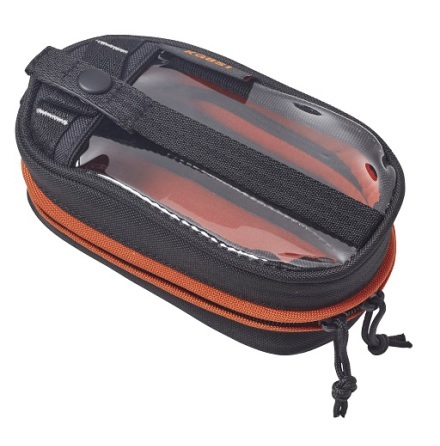 The see-through bottom is featured on each Gizmo bag, this gives a clear view to the inside of the bags without opening them. 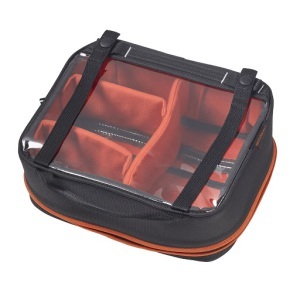 The Gizmo bags are made with high quality materials and premium workmanship for the demanding production environment.